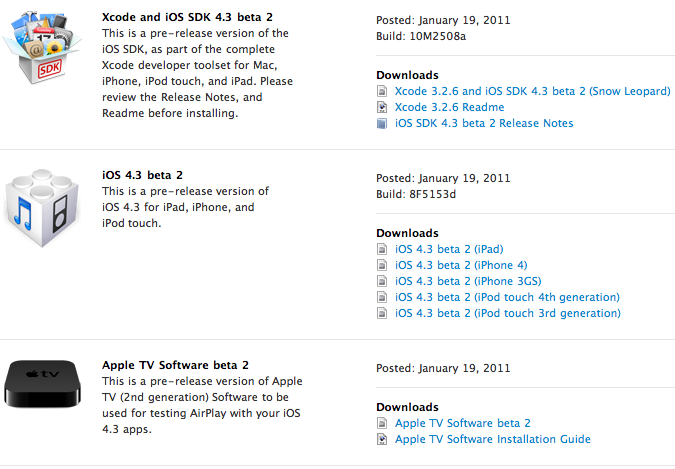 Apple has released the second beta for iOS 4.3 and SDK. 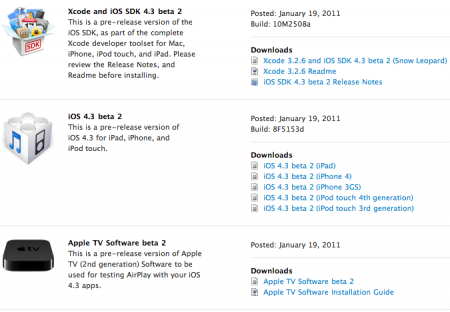 Xcode 3.2.6 and iOS SDK 4.3 beta 2, iOS 4.3 beta 2 for iOS devices and Apple TV Software beta 2 for second gen Apple TV are available for registered iOS developers. iOS 4.3 introduces many features such as improved AirPlay and Personal Hotspot to share an Internet connection via Wi-Fi. 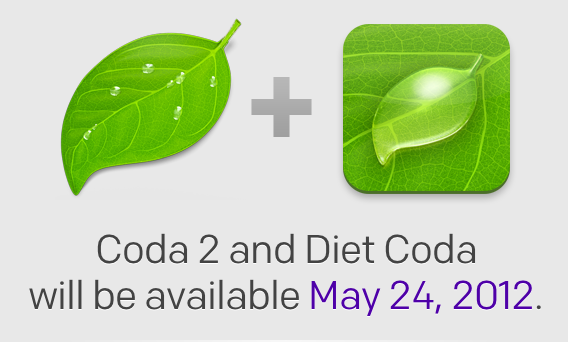 More information about iOS 4.3 can be found in this post. iOS 4.3 will be available for the following devices: iPad, iPhone 4, iPhone 3GS and iPod touch 3rd and 4th gen. Most likely due to performance issues, iPhone 3G and iPod touch second generation will not receive this update. iOS 4.3 might be publicly available March 2011.